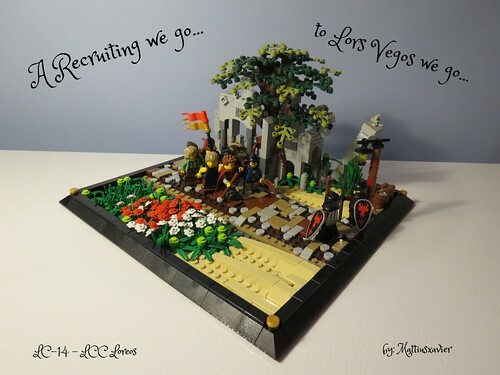 Sir Erathor wrote: ...How many of you have built/are building for the LC14? Also, you need to have voted for the GCVII by March 4! 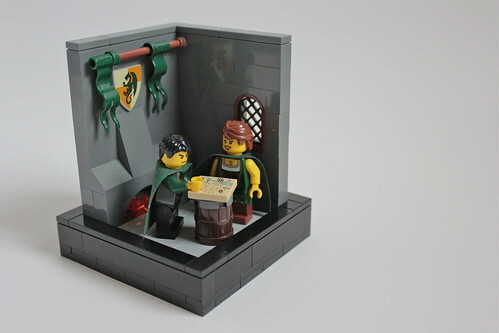 I'm building a MOC that will (hopefully) turn out to be an entry. Here's my entry for the LC. Also I've been asked about the previous LC and since we only had two official participants they will both be considered winners. Points will be awarded to them equally. Guys, let's keep the GCVI votes coming. Voting ends TONIGHT! Let's win this one, "For the Glory of Loreos!" Excellent build! Let's keep em coming folks! As you can see, we didn't do so well (as a faction) in the GCVI voting (we got 4th; even the Outlaws beat us)! I expect everyone (including myself) to step it up a notch for the next GC. Let's take home the gold, for the glory of Loreos! I second that folks. I was a bit surprised at the outcome for the unrestricted category...but I think the next time we will right the wrongs committed against our noble faction. Welcome, Kian Greyhelm, to Glorious Loreos! You chose the right faction, and yes, you will have the time of your life here! Sir Erathor wrote: Welcome, Kian Greyhelm, to Glorious Loreos! You chose the right faction, and yes, you will have the time of your life here! Some of you will remember me from my visit to the Earl of Tigelfah, Tigelfah, England. But that's another life now. My true roots are in the North Eastern part of Loreos, near East Stowburn and Sarenhold. Welcome James! Now we just need to get Jimmy back into things and we can get some great co-lab builds going. Just curious, is anyone else, besides Mattiusxavier (our FO), going to enter LC14? I plan on getting something small built later this week, although my character, Lord Tathann, is currently in the Garheim wilderness right now, we'll see what happens. Gotta place a few BL orders for my GCVII builds, first. I may enter, if I have enough time to build for it. Time is the key, unfortunately! 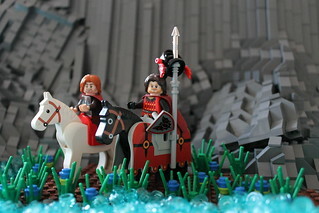 Sir Erathor wrote: I may enter, if I have enough time to build for it. Time is the key, unfortunately! For all those who are wondering about my inactivity on flickr its mainly because I've been loosing interest since my account got deleted, but mainly because of Lent. anyhow I might try and get a picture of Torith up this weekend just to get some advice/ideas on it before I start over. Any ideas off the bat?